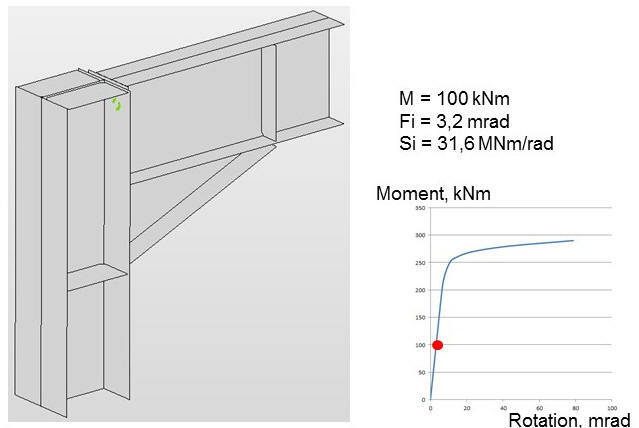 This project introduces the prediction of behaviour of structural steel connections by the component based finite element method (CBFEM). The distribution of internal forces in connection is analysed by finite element method. 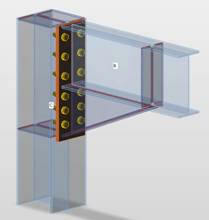 The connectors’ behaviour is modelled by analytical models as components. 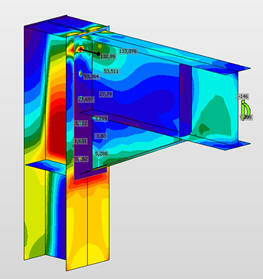 The method enable to design complex joints generally loaded. 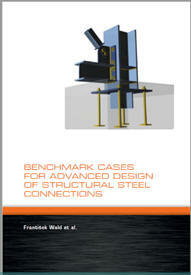 The check for slender plates is introduced to allow a design of local buckling at post-critical stage of joint. 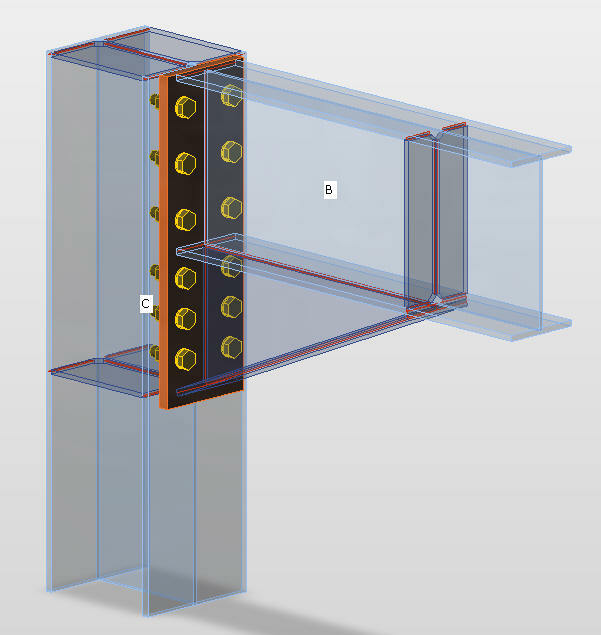 The resistance is checked by limiting the strain of plates and resistance of connectors (weld, bolts, anchor bolts). 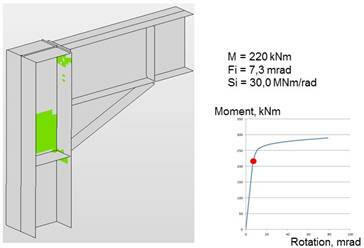 The prediction of initial stiffness and deformation capacity is natively included. Lectures at MC´s level in pdf and pptx. Česká technika - nakladatelství ČVUT, 2016. 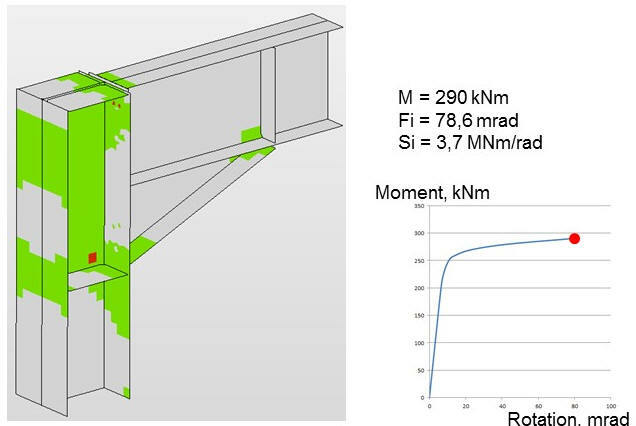 Plastification during loading of bolted portal frame eaves moment connection presented by CBFEM.